MOSCOW (UrduPoint News / Sputnik - 16th April, 2019) The head of the Algerian Constitutional Council, Tayeb Belaiz, stepped down on Tuesday, having spent less than two months in office, amid ongoing anti-government protests calling for the resignation of former President Abdelaziz Bouteflika's establishment, the body announced. 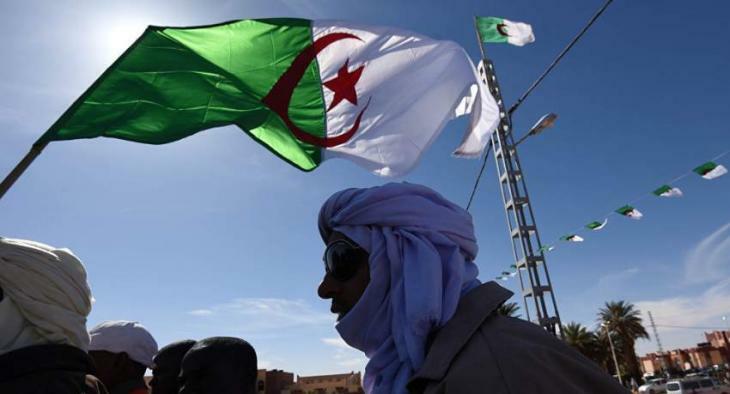 "The president of the Constitutional Council, Tayeb Belaiz, informed the Council's members in a meeting Tuesday, 16 April 2019, that he had presented his resignation as head of the Constitutional Council, a post he had been holding since he took oath on February 21," the council's statement said as quoted by the state-run Algeria Press Service news agency. The Constitutional Council oversees parliamentary and presidential elections in the country, approves candidates for the elections and endorses the resignation of the country's leader in case of such an event, among other things. Two weeks ago, the body supported the resignation of Bouteflika, 82, whose intention to run for his fifth consecutive term after two decades in office sparked outrage among Algerians, who soon took to the streets. Parliament's speaker and an ally of Bouteflika, Abdelkader Bensalah, took over the role of the head of state for 90 days, as provided for by the country's constitution, and pledged to hold presidential election on July 4. However, the rallies continue despite Bouteflika's resignation, with protesters demanding the resignation of all key government figures that served under Bouteflika, including Bensalah and Belaiz.